DISCOVER TAJIMA >Hot Springs	>Izushi Onsen Building "Otome no Yu"
After taking a stroll around and enjoying the famous plated soba of Tajima’s “Little Kyoto” head over to Otome no Yu hot springs, just a 5min drive from town, to relax and refresh yourself in Izushi’s hot springs. 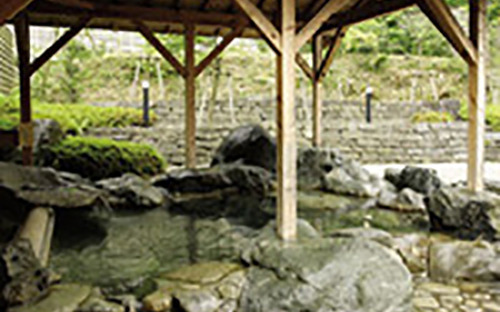 The pure and abundant hot spring water features alkaline. The alkaline spring water is popular with female bathers because of its ability to make the skin soft and smooth. It also has an excellent ability to help you stay warm and your skin moist.